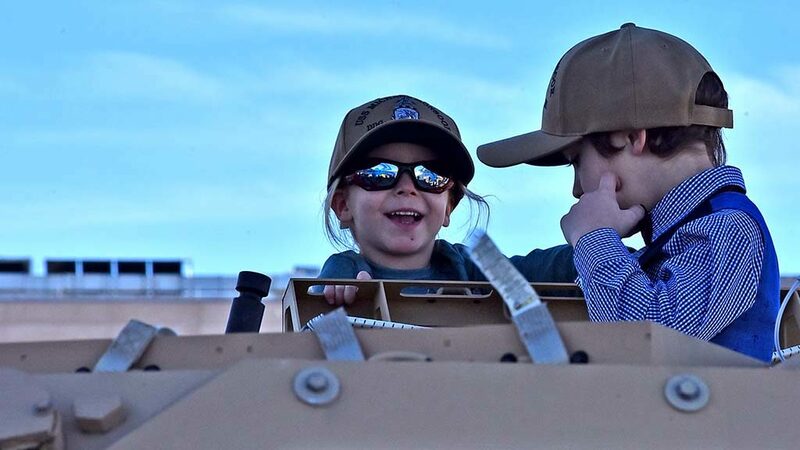 If Michael A. Monsoor was looking down from the heavens Saturday, he’d probably wonder why everyone was making a big fuss about him. 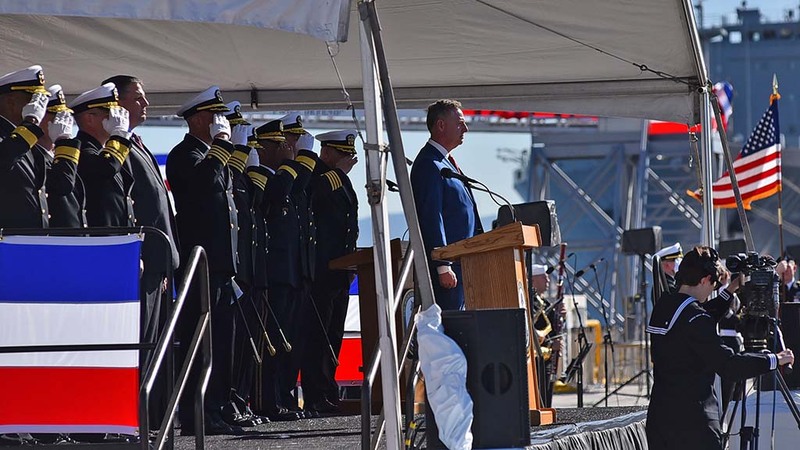 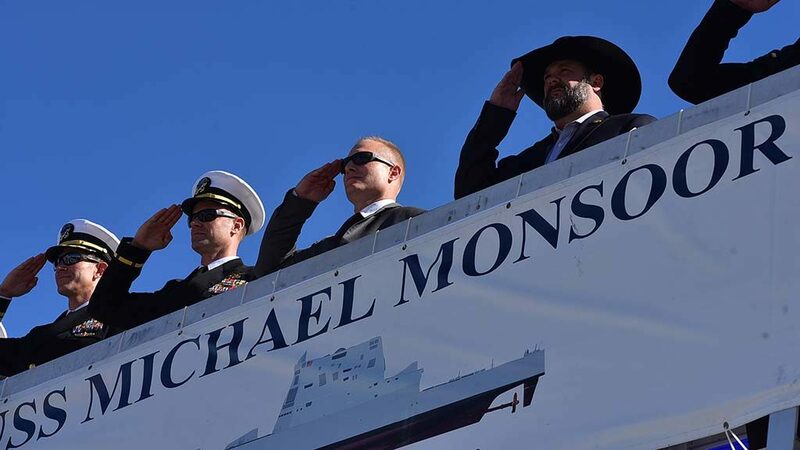 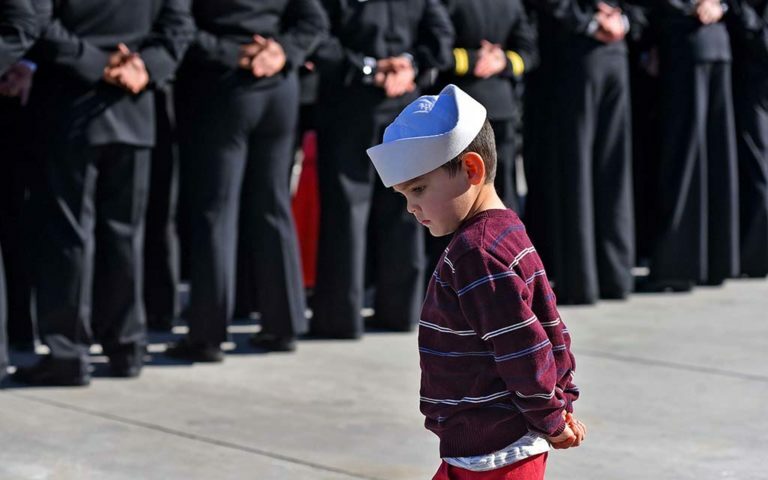 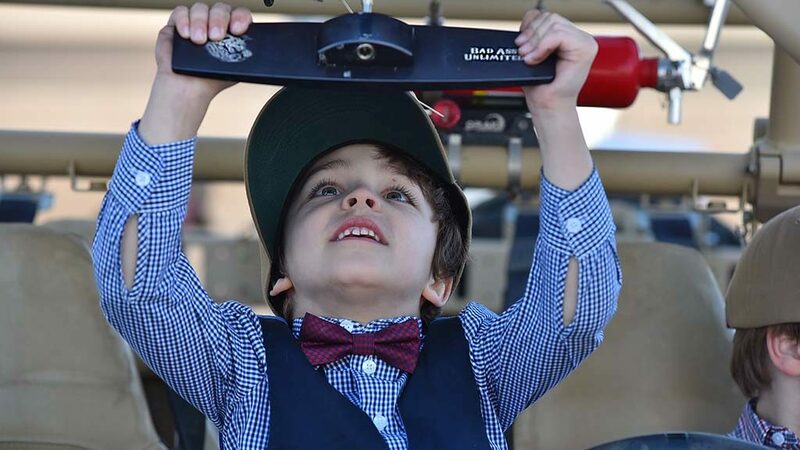 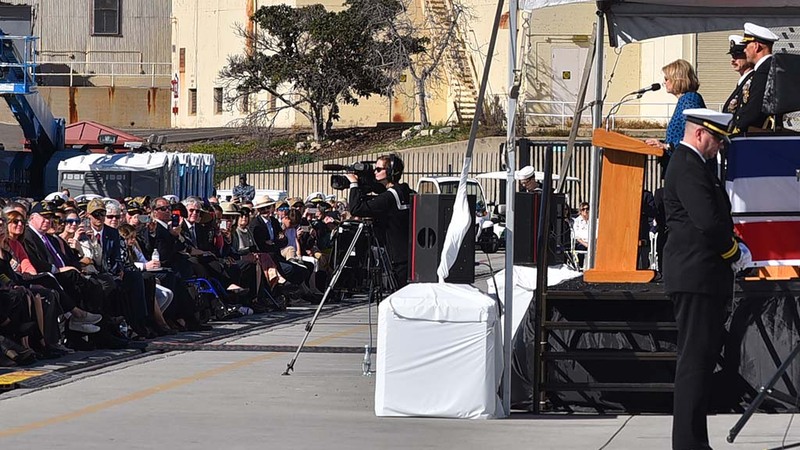 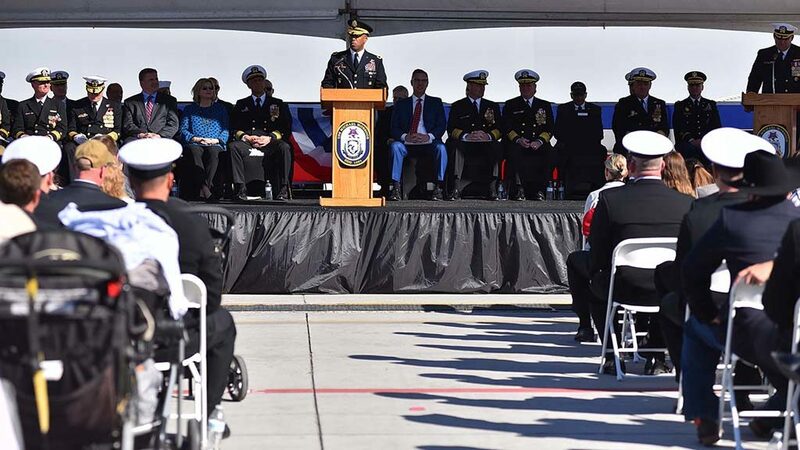 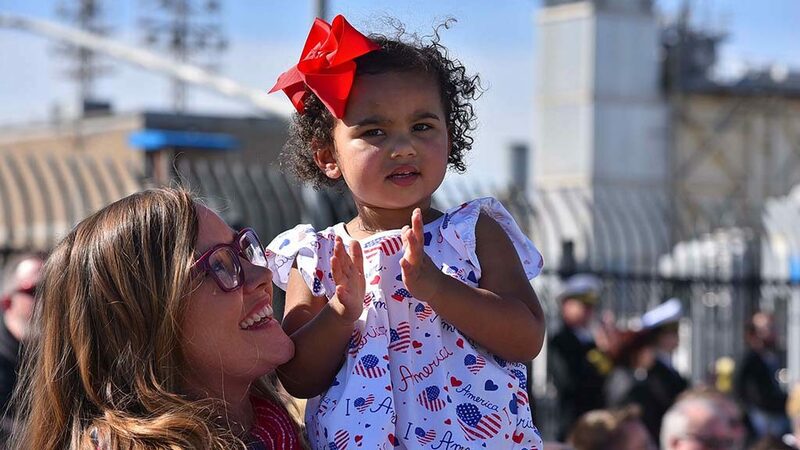 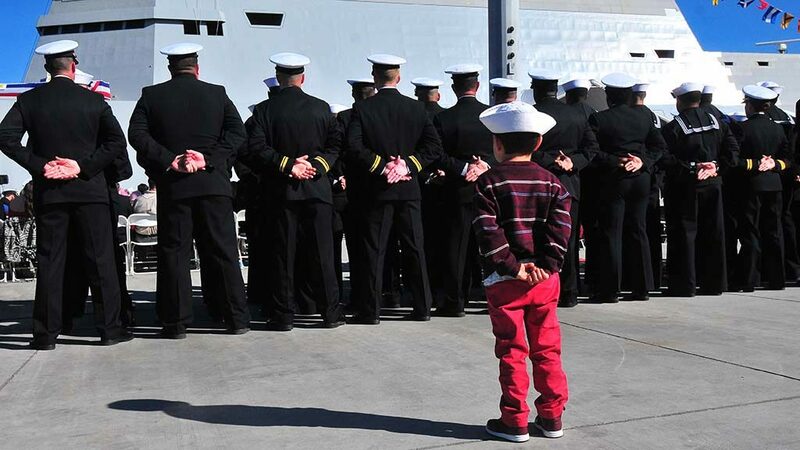 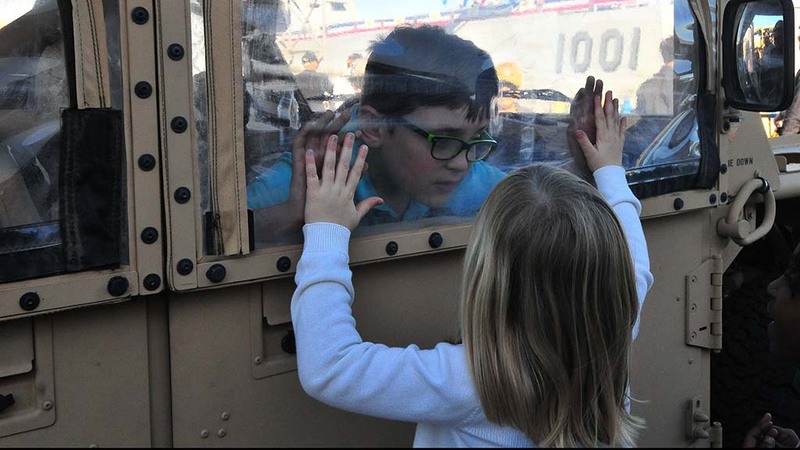 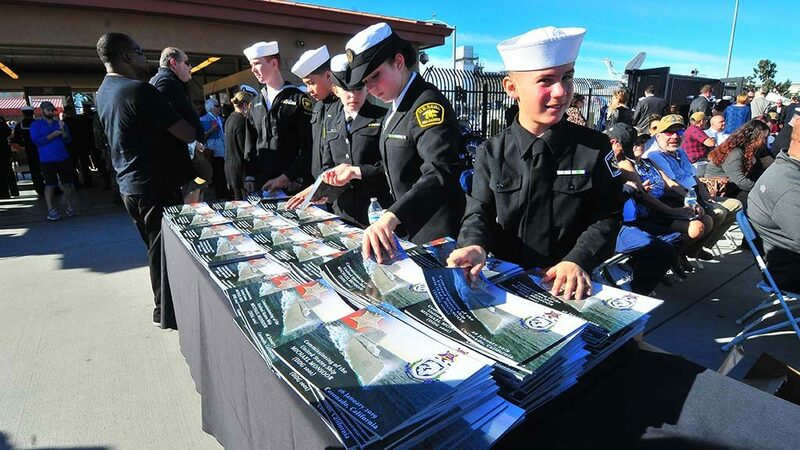 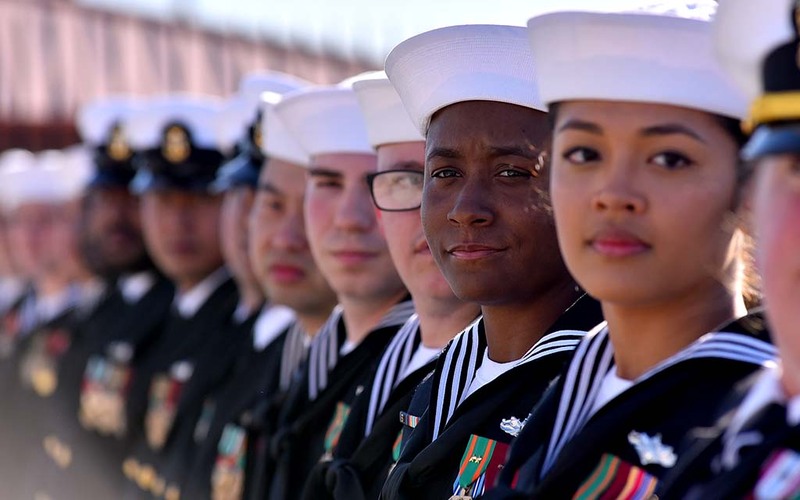 That’s what his cousin surmised at the commissioning of the Navy’s newest Zumwalt-class destroyer, the USS Michael Monsoor, at Naval Air Station North Island. 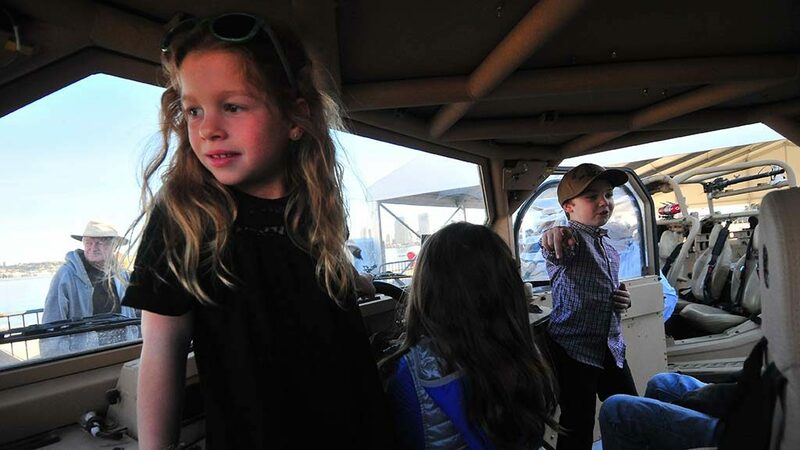 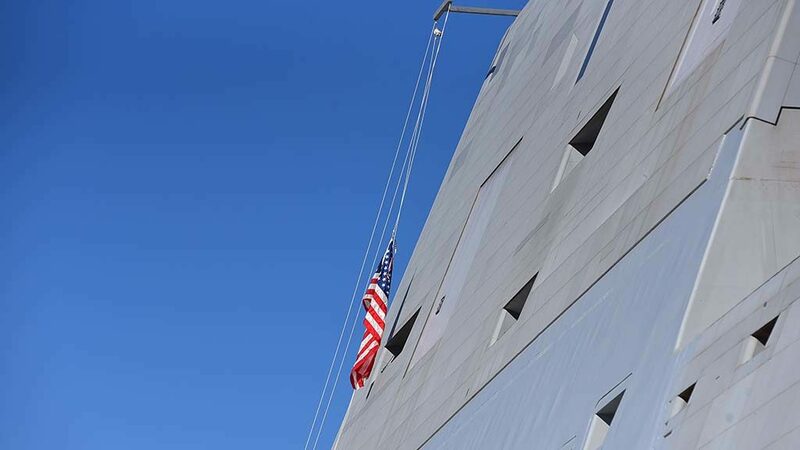 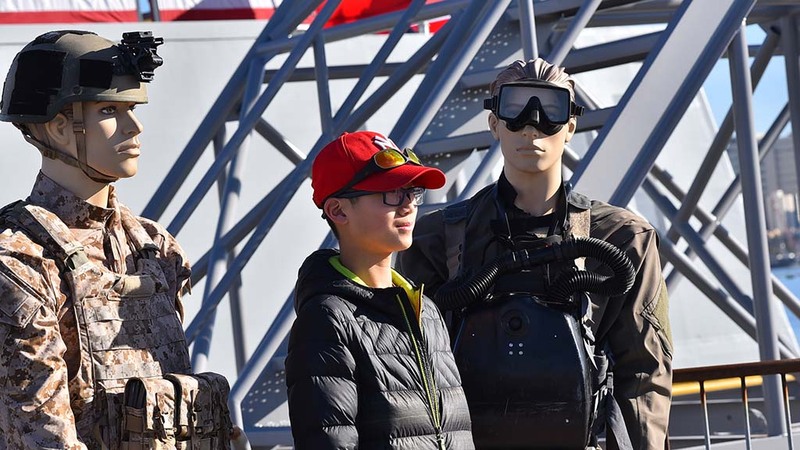 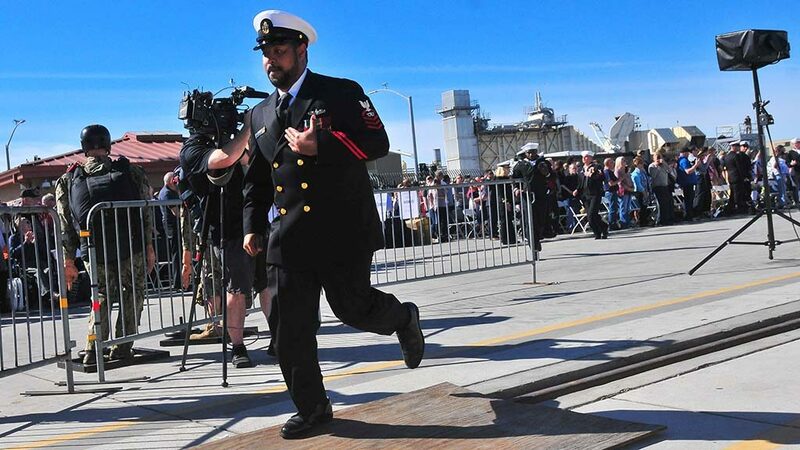 “I think that he would want to share any glory that came his way,” said John Cassidy, who flew from Alaska with his family to see his cousin’s name on a futuristic-looking vessel manned Saturday morning. 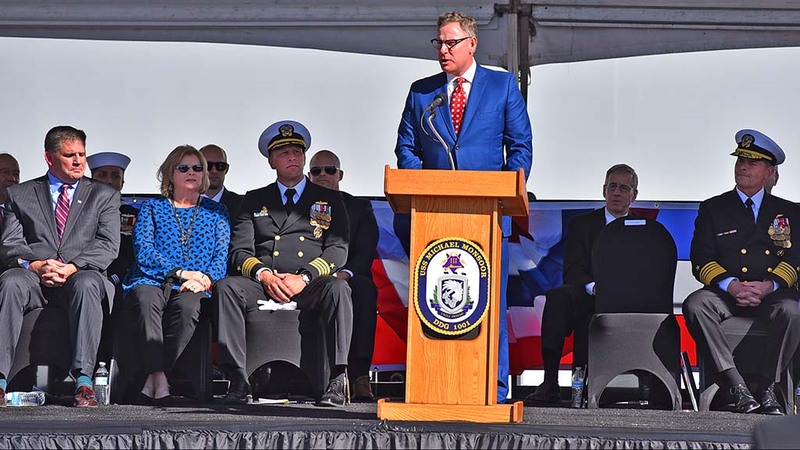 Cassidy called it an “incredible honor” to attend the event. 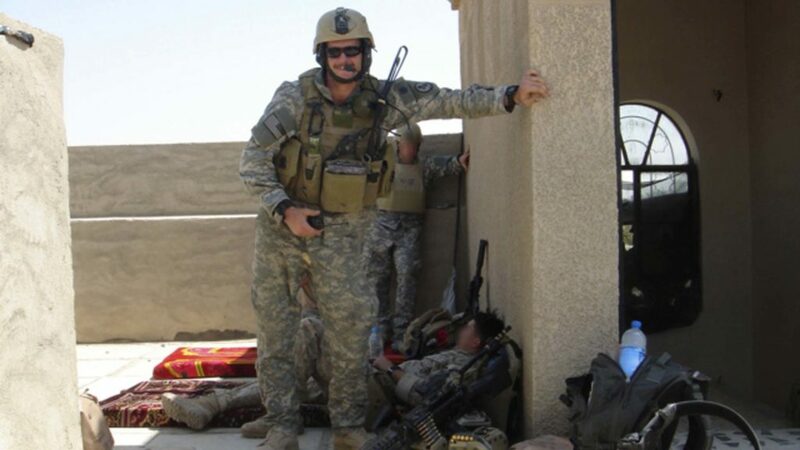 Petty Officer Michael Monsoor in Iraq. 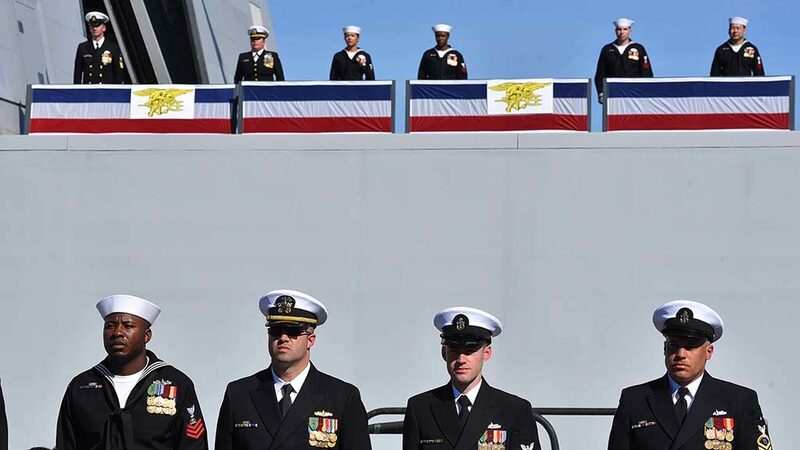 Photo courtesy of the Navy. Despite a chance to escape the danger, 25-year-old Monsoon fell on a grenade Sept. 29, 2006. 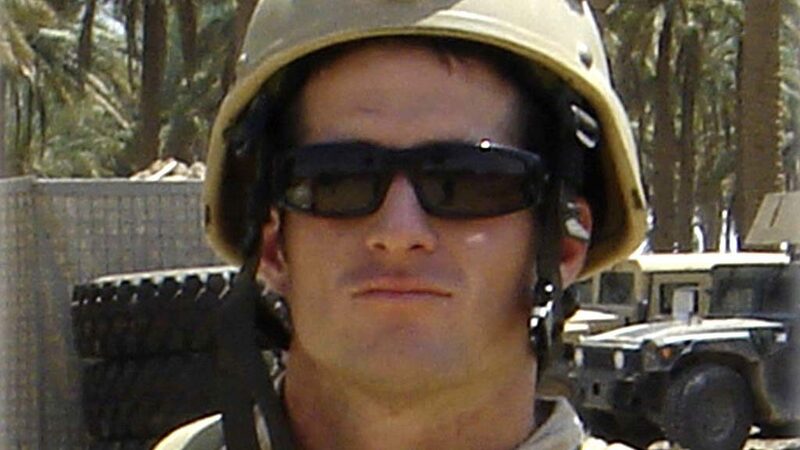 For saving two fellow SEAL Team 3 members in that selfless action in Ramadi, Iraq, he was posthumously awarded the nation’s highest military decoration — the Medal of Honor. Speakers at the ceremony included Rep. Scott Peters, Maj. Gen. Ronald Clark, Vice Adm. Timothy Szymanski and Capt. 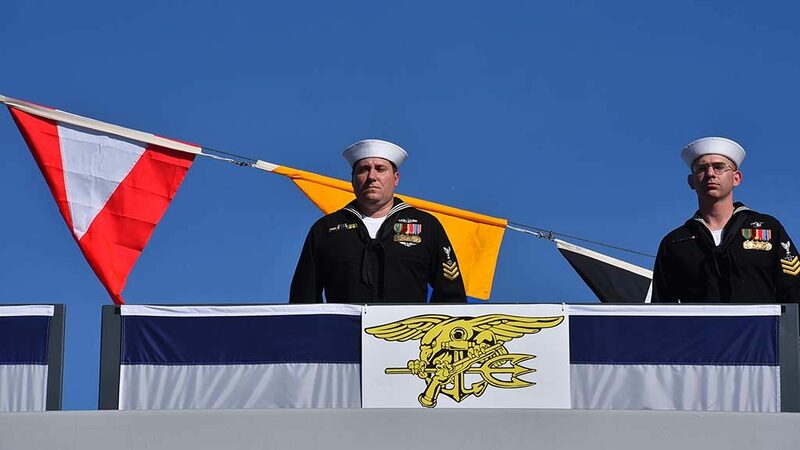 Scott Smith, the ship’s commander. 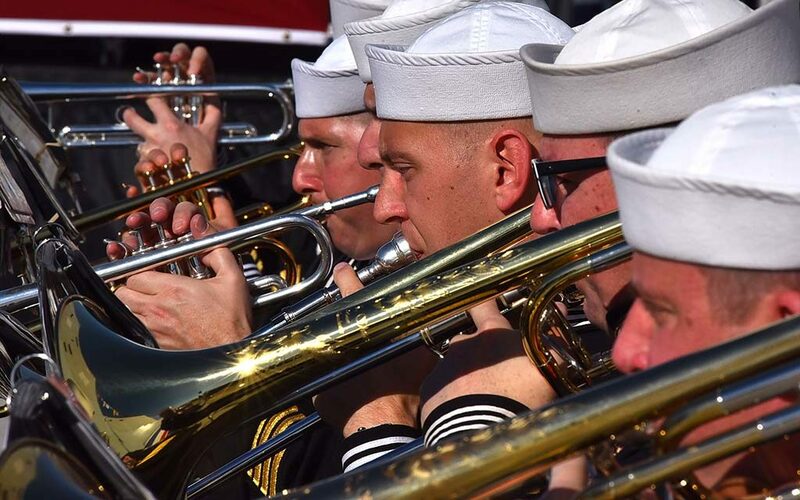 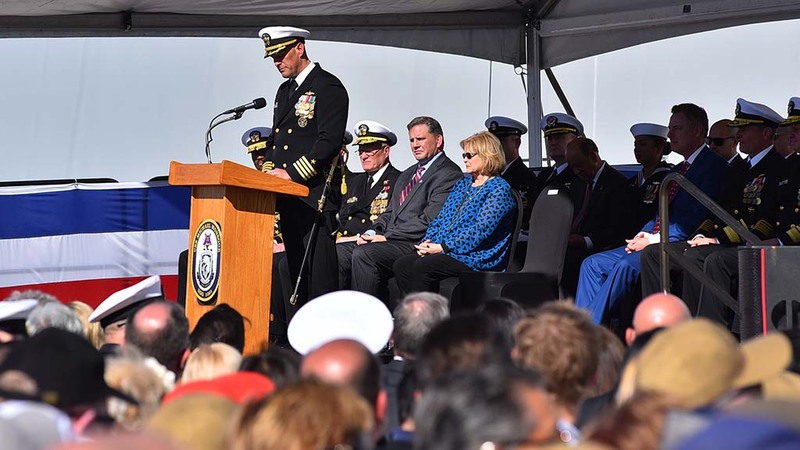 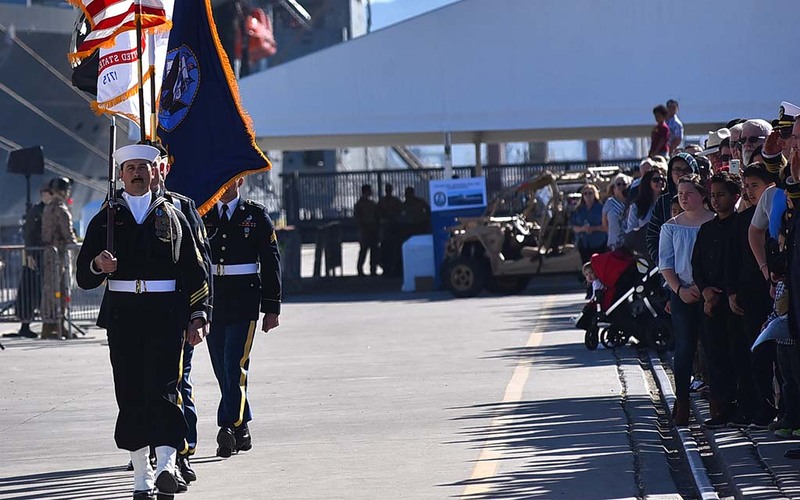 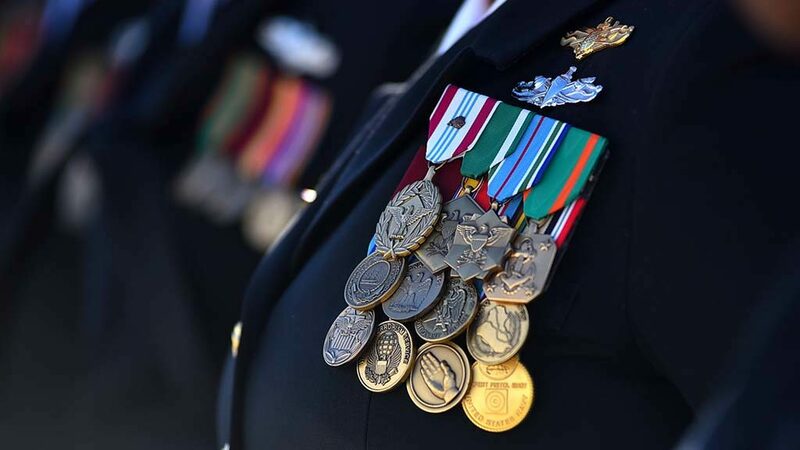 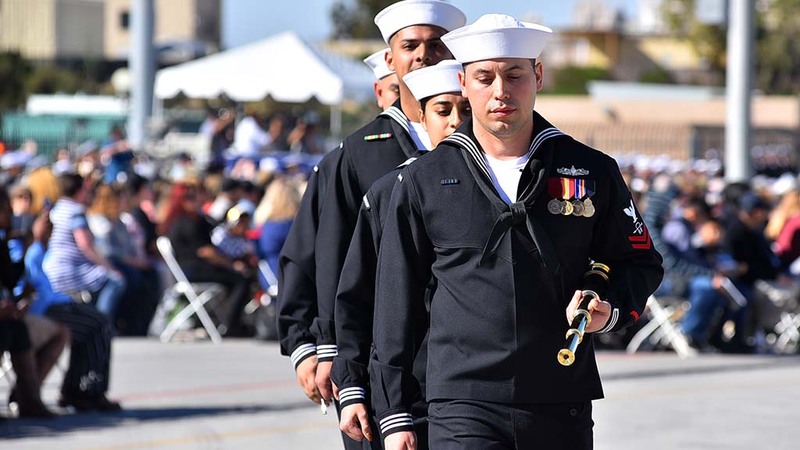 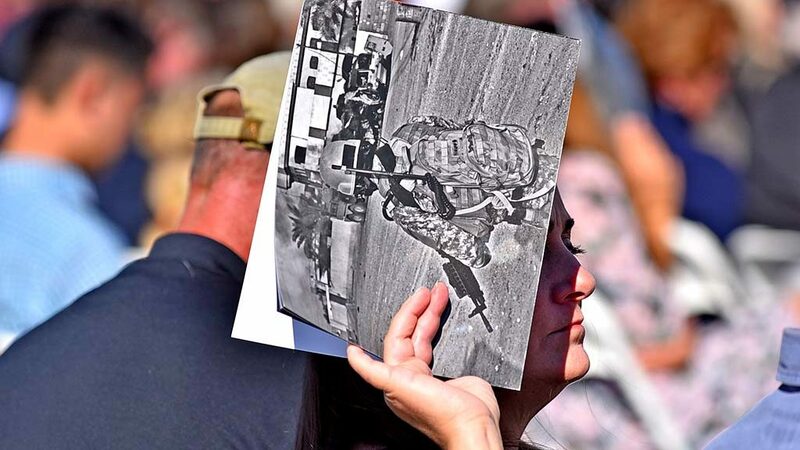 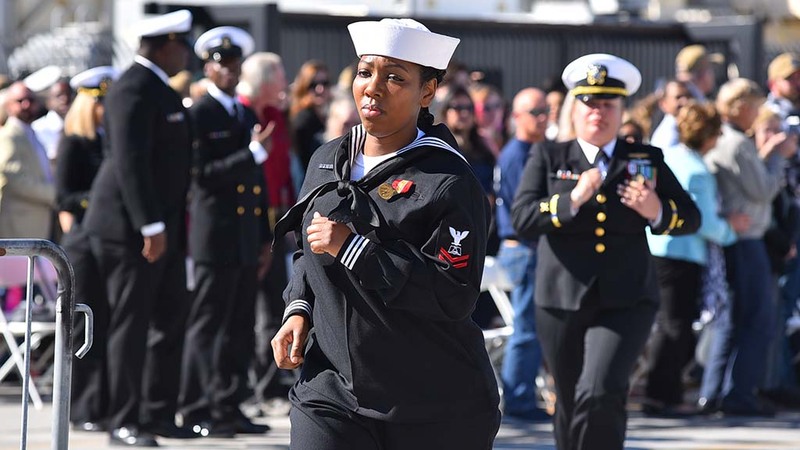 On a warm day that felt more like spring than winter, an estimated 5,000 naval personnel and dignitaries heard the story of the late Petty Officer Second Class Monsoor, who also received the Bronze Star, Silver Star and Purple Heart. 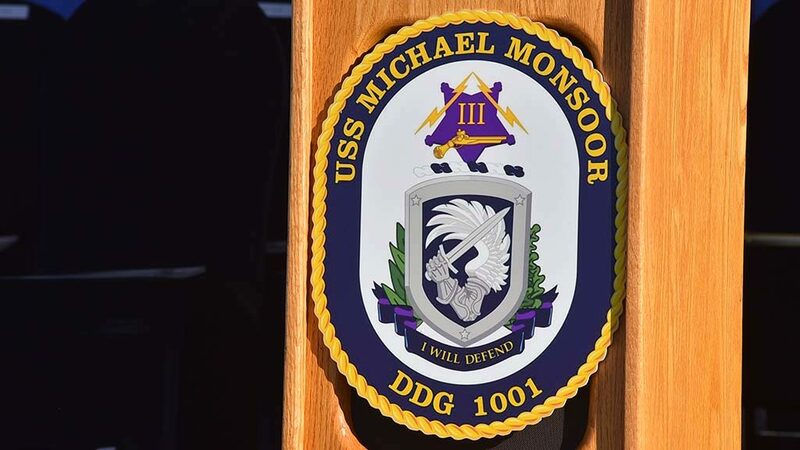 He recalled that Monsoor died on the feast day of St. Michael the Archangel, the patron saint of warriors, and so St. Michael is represented on the ship’s crest as a winged arm holding a sword. 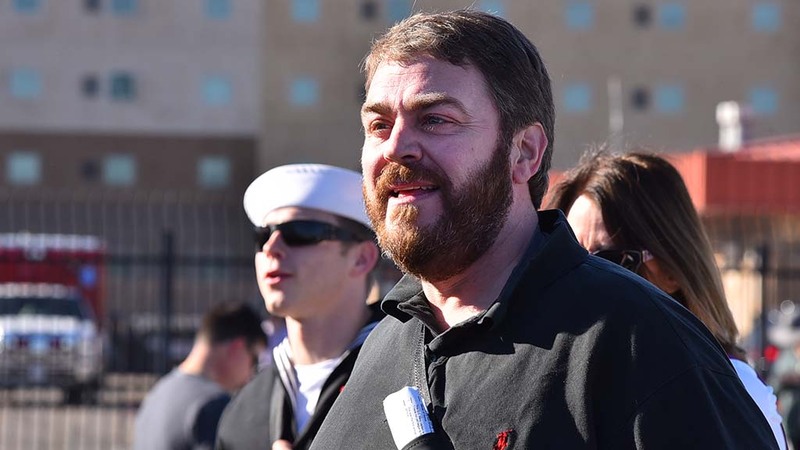 Calling Monsoor a kind and honorable man, Peters noted that Monsoor was a devoted Catholic and attended Mass every day, even when in the theater. 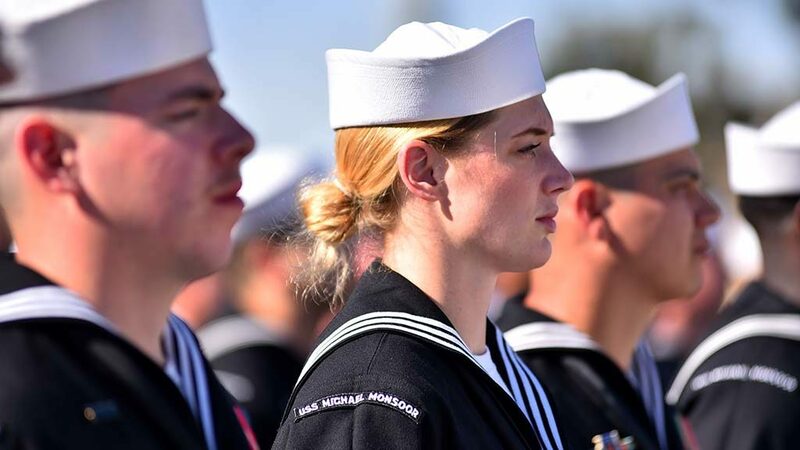 Born in 1981 in Long Beach, Monsoor grew up in Garden Grove, played football in high school, entered the Navy in 2001 and became a SEAL in 2005. 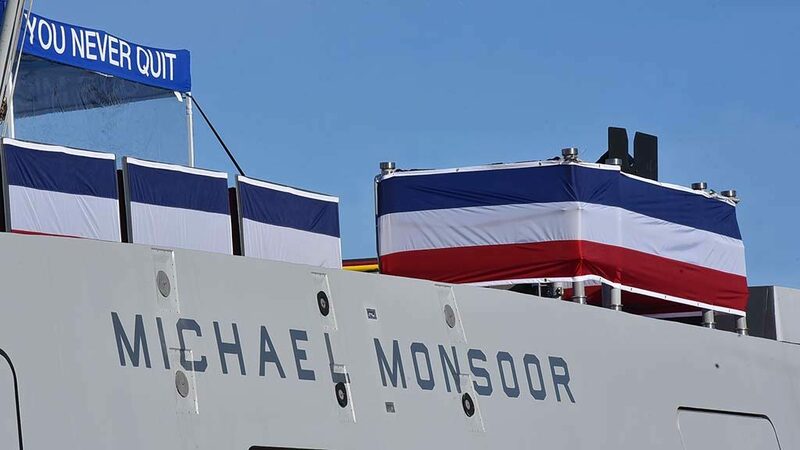 Therefore, Clark said, there is pride in knowing that the ship that bears Monsoor’s name will be on watch for all, as he was in his life. 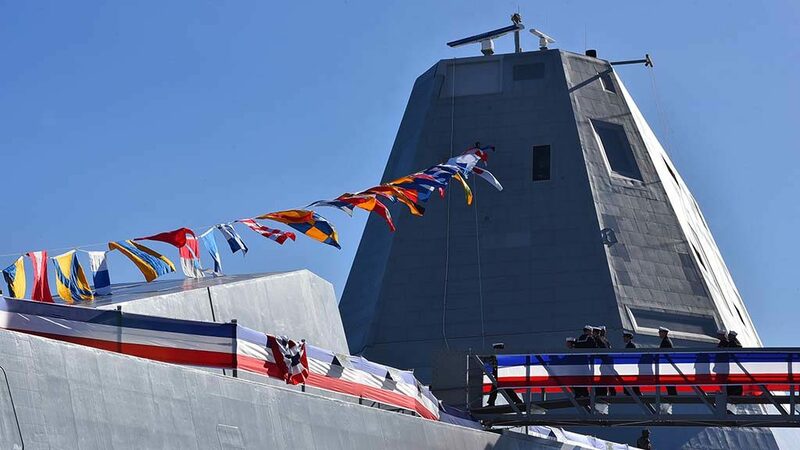 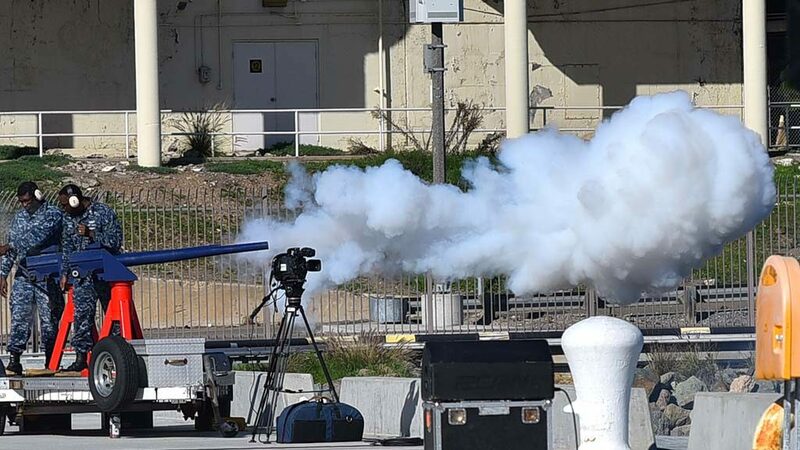 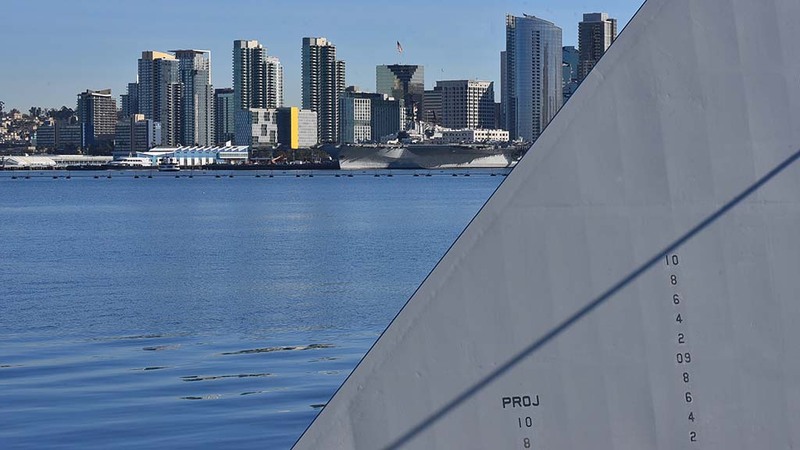 The second of three Zumalt class guided missile destroyers, the 610-foot USS Michael Monsoor is one of the most technologically advanced surface combatants in the world, the Navy says. 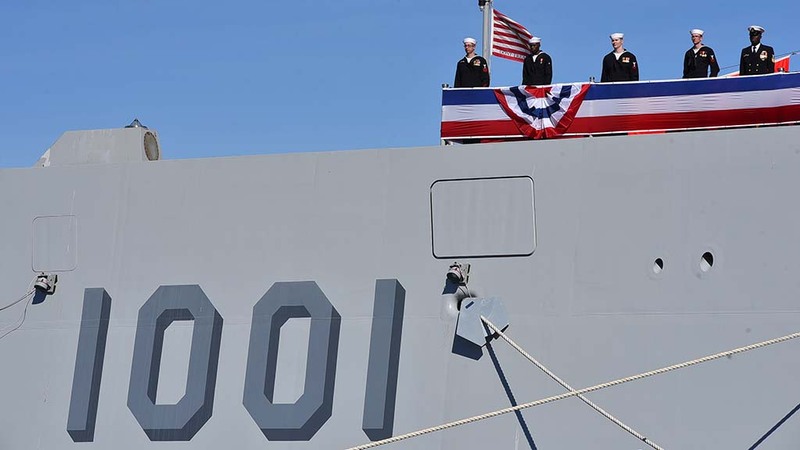 The ship, with a low-profile outline, has a wave-piercing tumblehome hull, small crew (148), stealth design and the latest fighting technology and weaponry available. 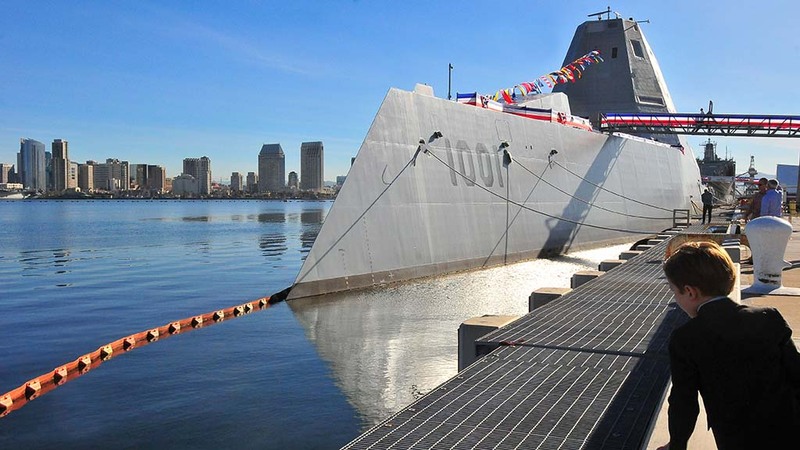 It was christened in 2016. The nearly 16,000-ton ship is powered by two Rolls-Royce main turbine generators, two Rolls-Royce auxiliary turbine generators and two 34.6 MW advanced induction motors to speeds up to 30-plus knots. 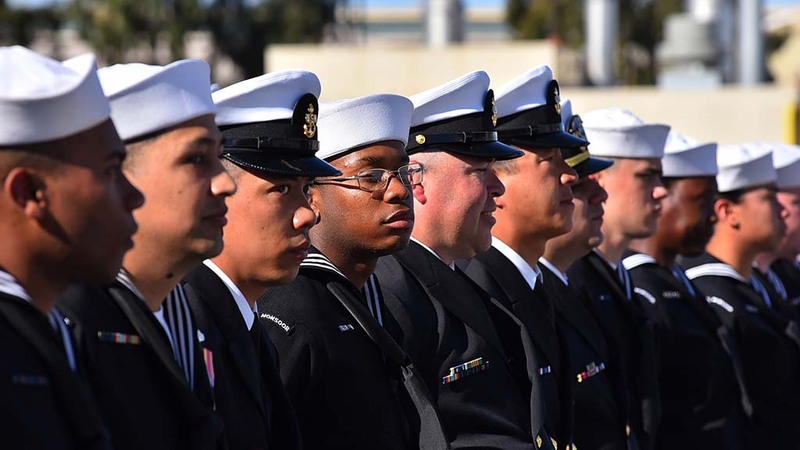 Its mission is to perform deterrence, power projection, sea control and command and control, according to the Navy. 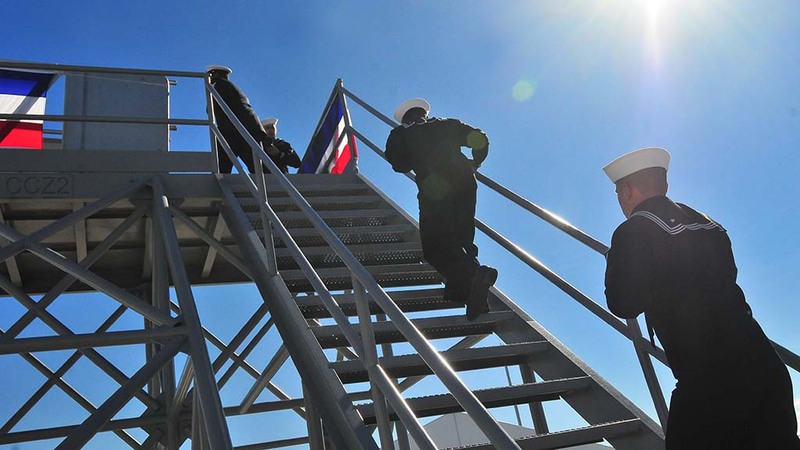 On the ship’s crest, the three stars represent the Navy SEALs saved by his actions in 2006. 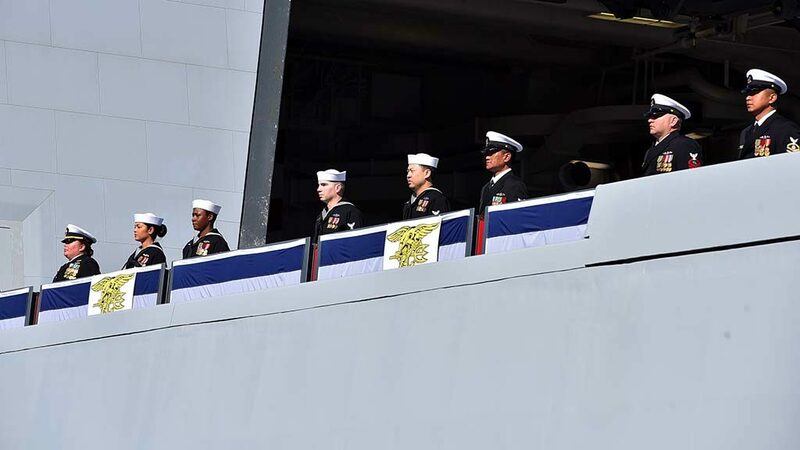 The winged arm represents St. Michael. The lightning flashes represent a boldness in leadership and the ship’s unique propulsion. 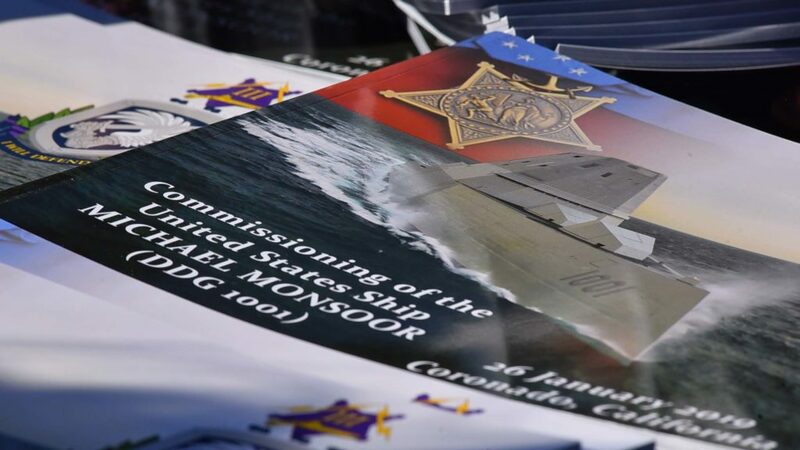 The large, inverted star is in the shape of the Navy Medal of Honor, and the flintlock pistol from the Naval Special Warfare insignia represents the ship’s Advanced Gun System.